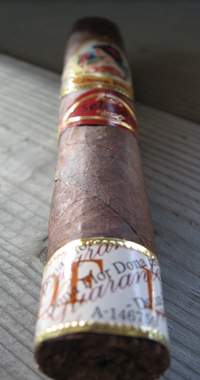 Dona Flor is line of cigars produced by the Brazil Cigars & Tobacco Company. 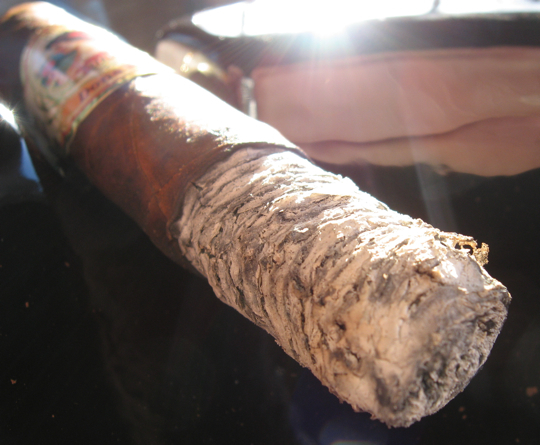 As you might guess, all of the cigars are made using 100% Brazillian tobacco from the Bahia region of Brazil. This region and country is most popular for their Maduro wrapper leaves. The company manages the whole growing process from planting the seeds to the final cut and packaging, not purchasing any leaves used in their manufacturing process from any third parties. 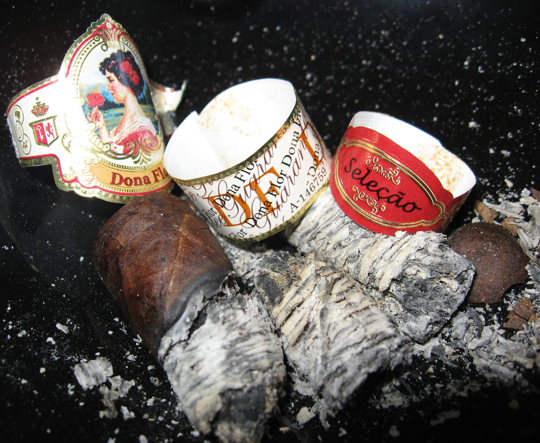 The Dona Flor line comes in a variety of Vitolas and 2 types of blends. The standard line is just called Dona Flor and their specialty line is called the “Dona Flor Reserva Especial”. 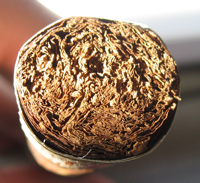 The especial line uses Cuban-seed corojo while the standard line uses Connecticut and Mata Fina Maduro wrappers. The vitolas range from a Petite Corona all the way up to a Double Corona making up a total of 9 Vitolas in the standard line and 3 in the Reserva Especial line. •	Seems a lot smaller than the claimed 5×52 and it’s not box pressed? •	No major corrections needed and no extra attention needed to keep lit. To be honest, I wasn’t expecting much out of this cigar. I had never really heard about it until I got it in this package. 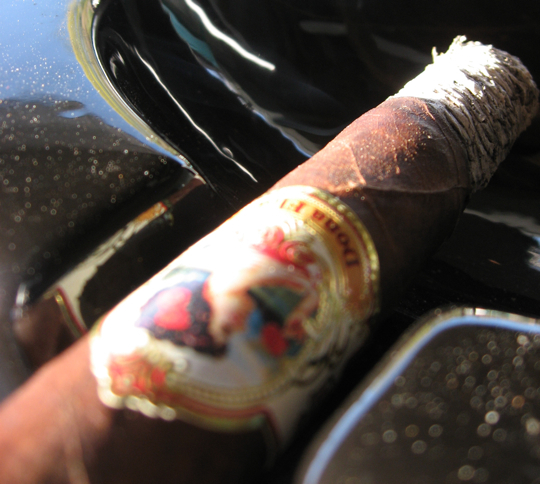 It wasn’t a top ranking cigar but it was still a good smoke. Lots of wood and leather flavors with good construction, smoke and ash. 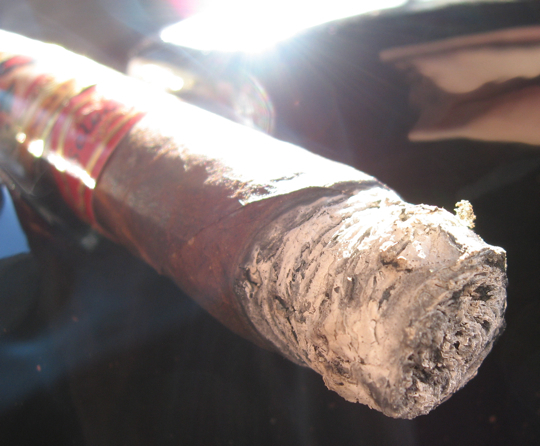 The MSRP on these cigars is at a fair price but they seem fairly hard to find. I would like to try these again and maybe try the Maduro wrapper as well. If you stumble across them during your B&M shopping, pick one up. I went with a simple Diet Dr. Pepper here because it was an early day smoke. It actually paired fairly well with the slight sweet and spiciness I got in the first half and counteracted the stronger leathery flavors near the end. This would make a perfect match with a good coffee or amber/dark beer. Damned if it don’t look pretty! Good Review DT! I couldn’t agree more Jared. That’s a pretty decorated stick Great review Daniel-son. Very interesting little stick there, I’ll have to keep my eyes out for them. Thanks Jared and Tony, I was actually pleasantly surprised by this stick. Wasn’t expecting anything great since Brazil is only really known for Maduro wrappers. And taking the pics during the day makes a huge difference in how they look, I gotta try doing more day-time reviews for you guys. I’ve seen these before but always managed to find an excuse not to buy them. I guess after reading this I should at least try one & definitely one of their maduros. Nice review. nice smoke, picked two up in cape coral ,fla.at a little shop called sticks cigar co.( 705 pondella rd. i think! ) great woody and leather bouqet, mild, nice price too , about 6.00 to 8.00 $ depending on size, worth every penny !!! !